ReptiHalogen™ Heat Lamp | Zoo Med Laboratories, Inc.
Another first from Zoo Med! 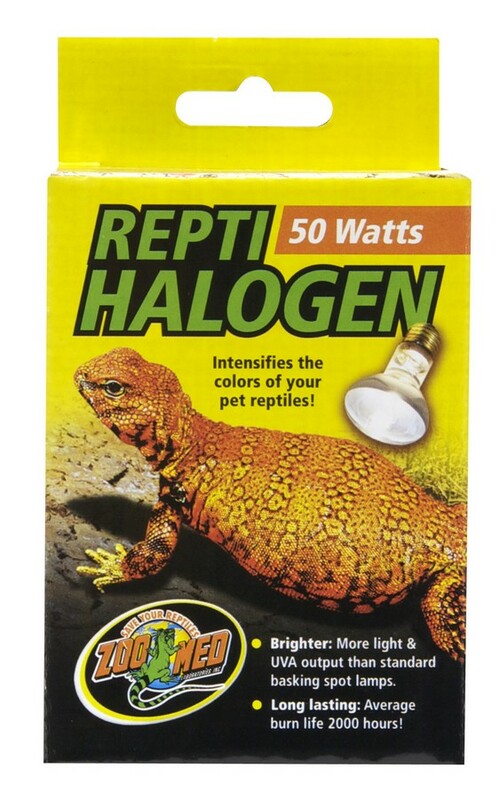 High quality halogen spot lamps specifically made for use with reptile terrariums! 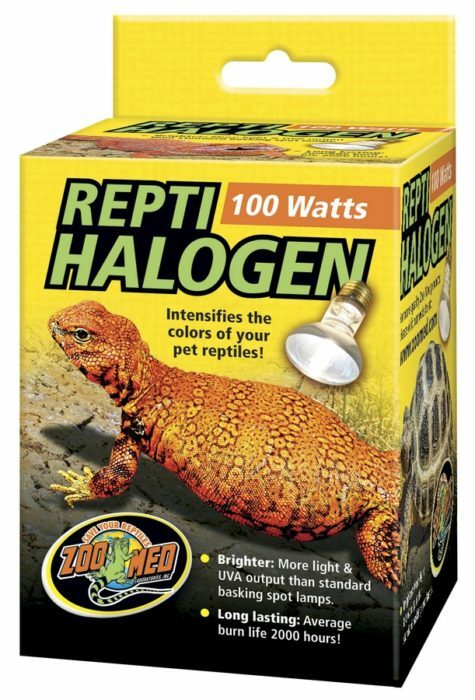 (This is not the same bulb you would find at a hardware store.) 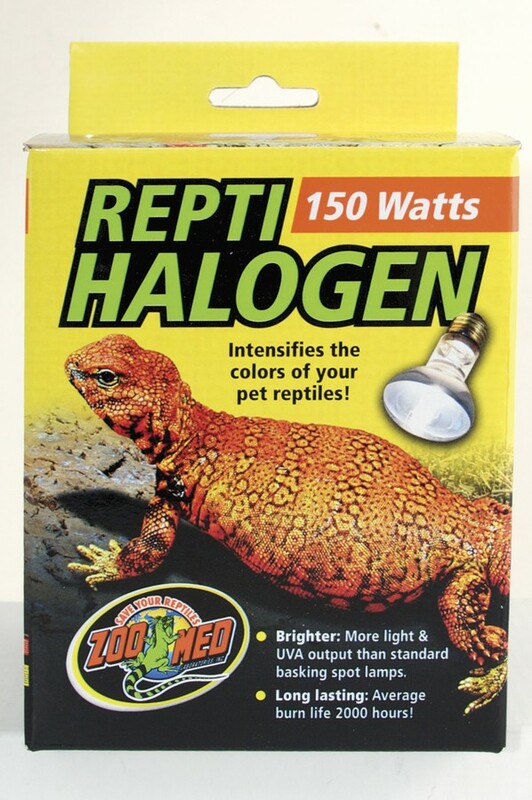 Halogen technology increases burn life and the crisp bright white light will make animals colors appear richer. A: Minimizing handling: lamps that get moved or vibrated burn out quickly. Make sure that the fixture isn’t being moved regularly. It is best to use a quality ceramic socket, not a plastic socket. You can check your fixture by unplugging it and looking at the metal tab in the center – where the bulb screws in. This tab can be pulled slightly forward to ensure that it makes a good contact with the bulb. A: These lamps are primarily a heat source. They generate UVA but not UVB. A: Yes. 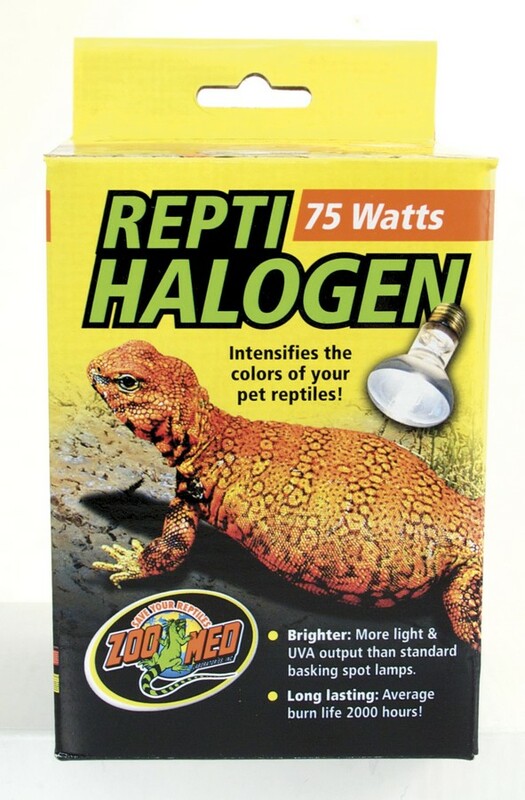 This lamp provides beneficial UVA rays which promote breeding and feeding and are beneficial to your reptiles well being.